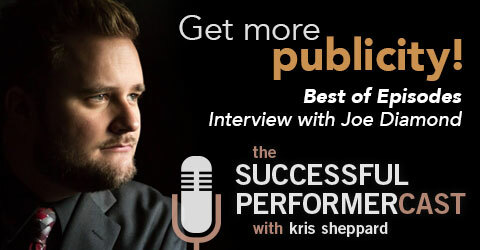 Best of Episodes: Publicity and Magic with with Joe Diamond! 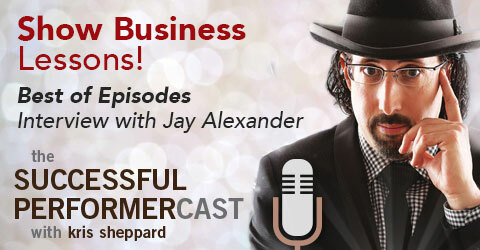 In this episode, I talk to paranormal magician Joe Diamond. 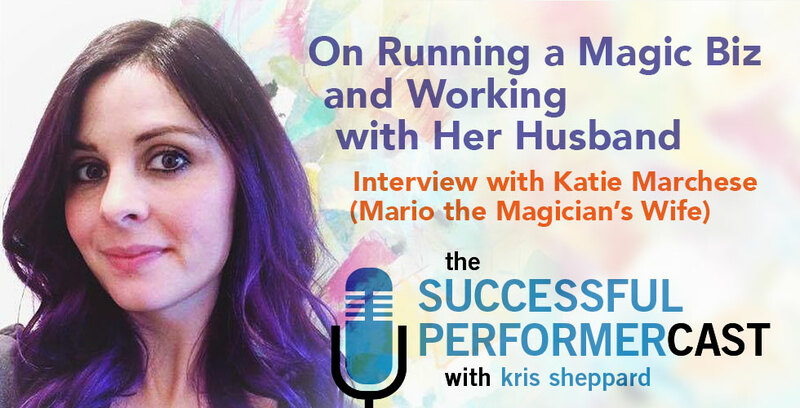 We go into detail on publicity stunts and how to get the press to notice! We also have an interesting discussion on “Pay What You Want” pricing structures and he mentions an awesome resource that you probably already have but just aren’t using! Joe Diamond is a paranormal magician from Chicago Illinois. Just in his twenties, Joe has been able to turn his fascination for the paranormal into a full time career and has an amazing understanding into the workings of the strange & bizarre, often defying the boundaries between what we assume can and can’t be done. 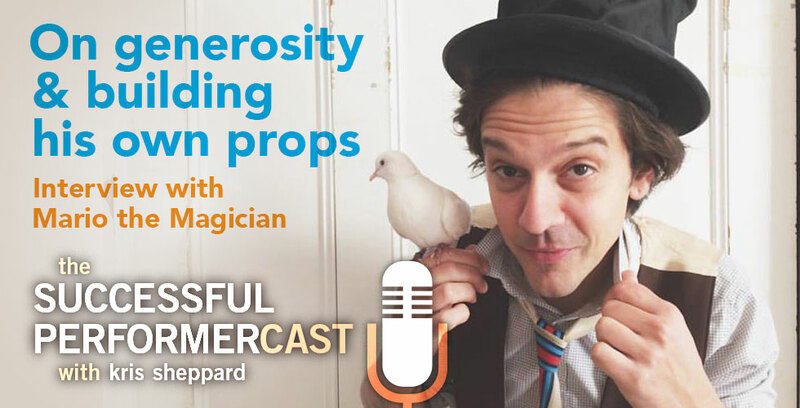 He was the youngest First Place winner of the “Close Up Magic Classic,” an award given in Colon Michigan, the Magic Capital of the World and now performs his paranormal magic all over the country for private parties, corporations, and theaters. Four years ago, Joe performed the world’s largest mind reading demonstration: completing a 33 acre cornfield maze while blindfolded, finishing in less than three hours. In fact, with his public demonstrations, Joe has been able to get more attention from the press lately than a good old fashioned Hollywood scandal. 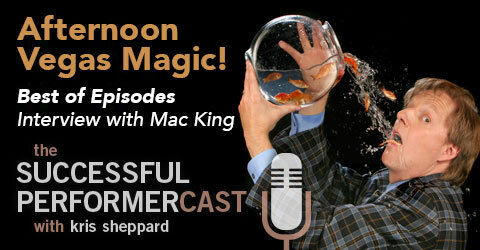 Best of Episodes: Vegas Magic with Mac King! Mac King! Mac tells us about his early days performing in comedy clubs and talks about how he keeps things fresh in his show at Harrah’s in Vegas. I probably don’t have to say this, but if you’re a magician and don’t know who Mac King is, I hereby revoke your magician card. That said, Vegas Headliner Mac King is resident magician at Harrah’s Hotel & Casino and has been there for 15 years. 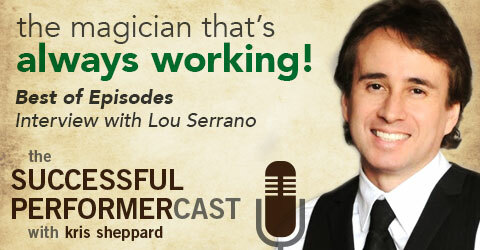 This makes him the longest running magician in Vegas to be working at the same hotel! 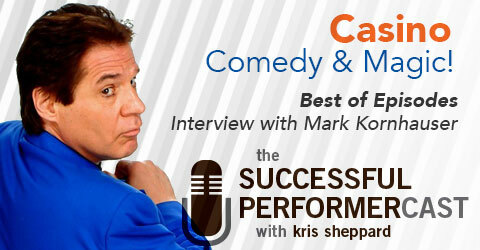 He’s appeared on TV in countless shows on a variety of stations and in multiple countries. He also performs at corporate events for a select number of clients each year. He’s authored and co-authored three books on the subject of magic, wears an awesome couch-plaid suit, and has a Fig Newton complex. Yet, according to his wife and daughter, he is a fine husband, a great dad, and all around swell fellow. 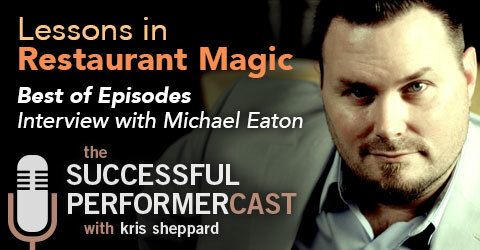 Best of Episodes: Michael Eaton talks Restaurant Magic! Michael Eaton is a professional magician from Orlando Florida, one of the official magicians of the Orlando Magic basketball team, and his business and marketing chops are as amazing as his magic chops! 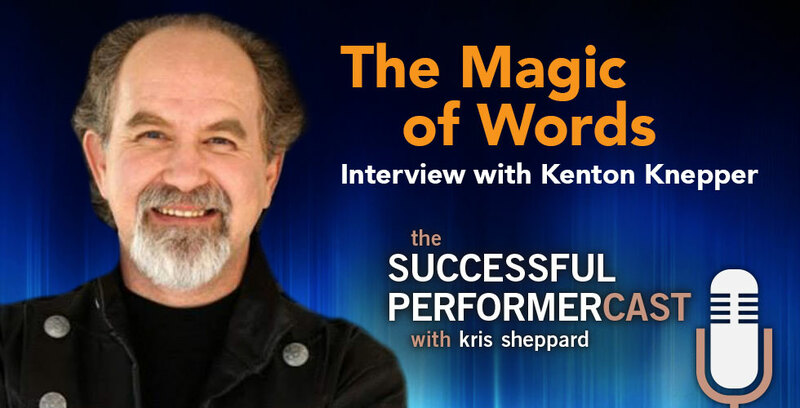 During our conversation, we talk in depth about restaurant magic and his approach to performing in them.